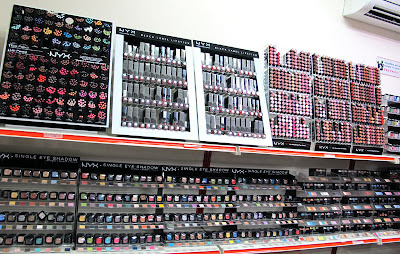 Confession of a Die-Hard Makeup Junkie ❤: SHuiYuki's Summer Romance with Smochiezz Peak + NYX! 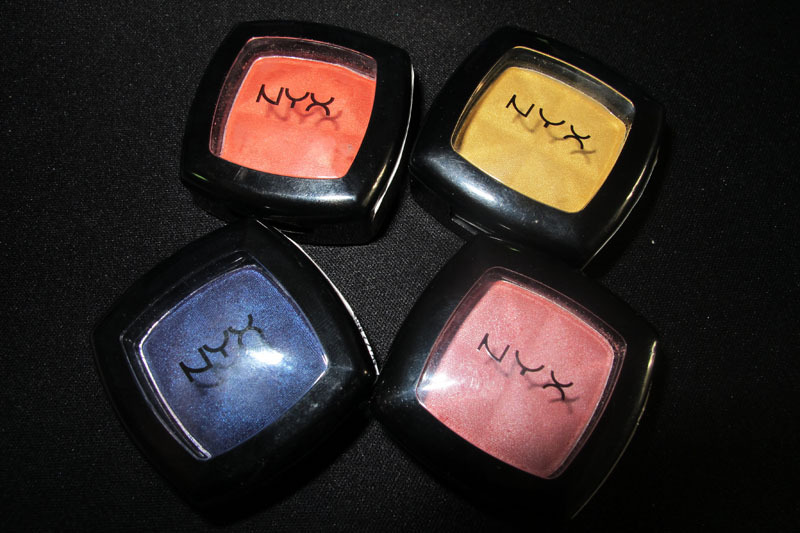 SHuiYuki's Summer Romance with Smochiezz Peak + NYX! SUNNY BRIGHT COLOURS TO CHARM AND SASHAY THIS SUMMER!!! 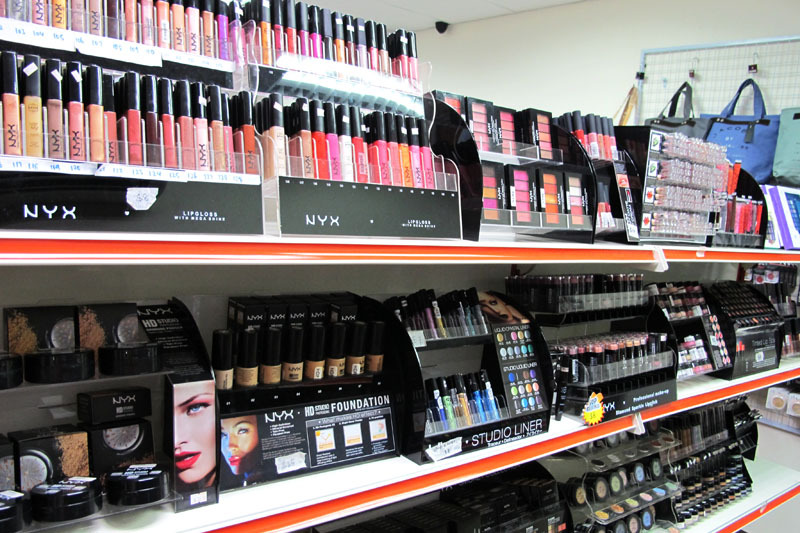 As usual, I went down to my FAVOURITE MAKEUP PLACE - SMOOCHIEZZ PEAK to stock up my makeup products and check out any new arrivals!!! Click on the 2 images to access their website directly! 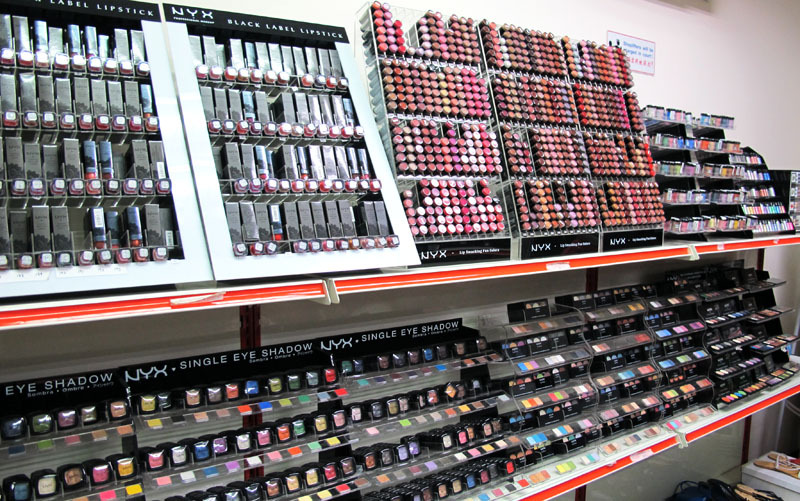 THIS PLACE ROCKS FOR ALL MAKEUP LOVERS OUT THERE!!! BUT THANK GOD FOR SMOOCHIEZZ!! THEY HAVE ALL MY PRAYERS ANSWERED!!! 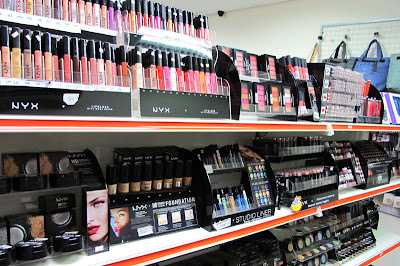 Can you believe this is NOT ALL NYX products at their showcase!!! 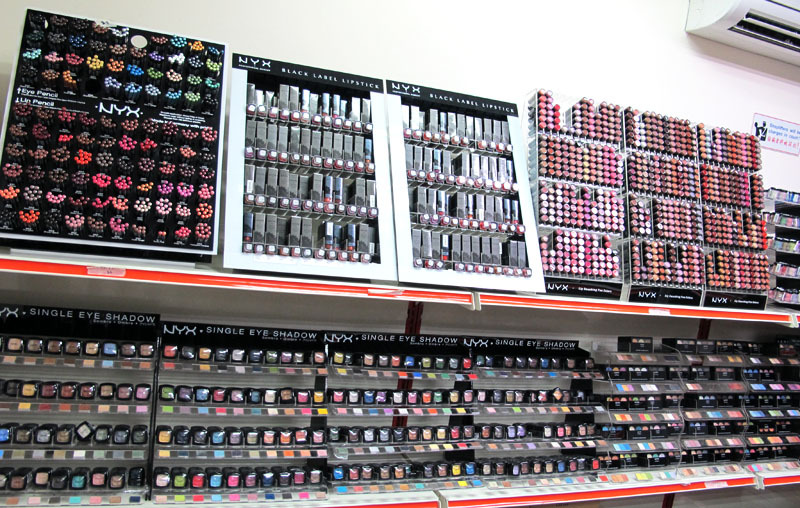 Too bad my camera doesn't have an ultra wide lens to capture ALL the NYX products. Babes, you will really need to drop by to their showcase (especially babes staying the West) one day to check it out yourself! 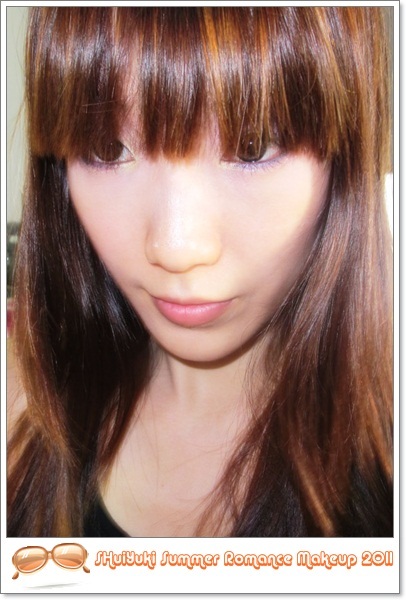 Was browsing through their solo colours and decided to create Summer Romance look with these 4 colours! TADAHHH!!! 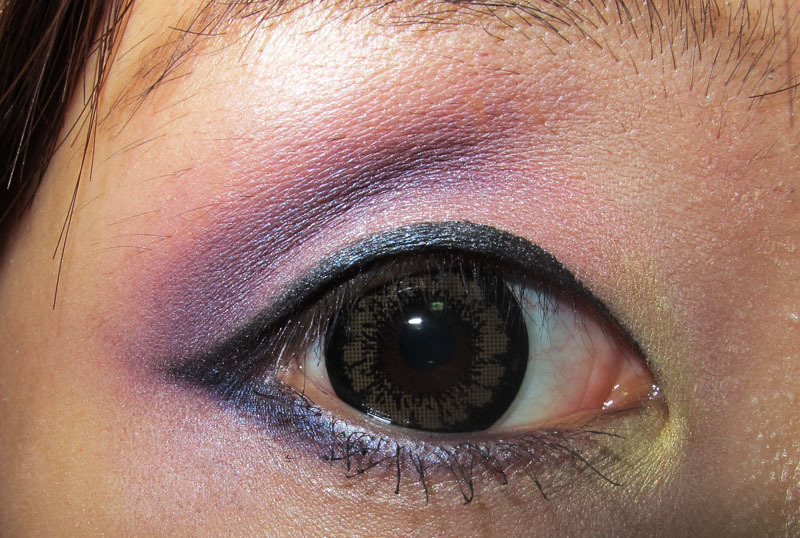 This is eye makeup I have created for this Summer! Best of all, all 4 colours cost less than $26!!! Get the colours at their Push-cart CLEARANCE SALES at Jurong East St 13!! Address will be provided at the end of this blog entry! 8. Apply your favourite Mascara and you are DONE! - Colours: 4/5 Very pigmented. 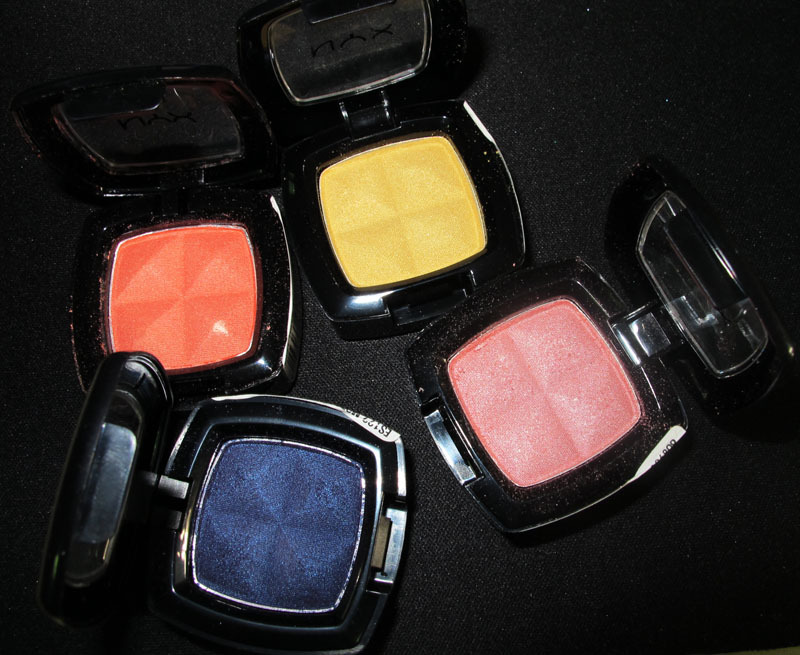 :) Can be compared to MAC eyeshadow colours too! So babes, do remember to check out their showcase (I'll show their address later) or their push-cart this weekend at Blk 135 Jurong East St 13 to check their items! MENTION MY NAME (SHUHUI) TO THEM AND GET DIRECT DISCOUNTS OFF FOR YOUR PURCHASE!!! :D AWESOMMEEE LOVEEEEE!!!!! Omg I want to go to smoochiezz with you one day!!! Ahhhhh!! !